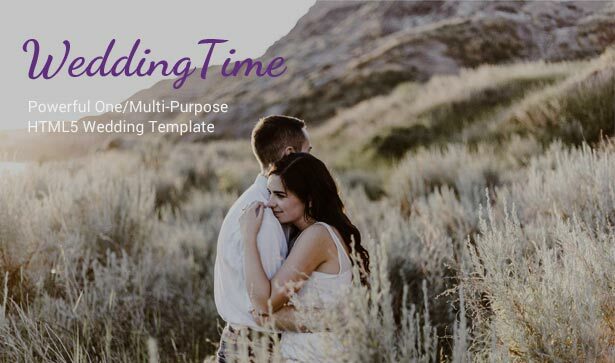 WeddingTime is powerful Powerful One/Multi-Purpose HTML5 Wedding Template that helps you create Wedding / Engagement / Portfolio / Blog / Whatever site best way. Template includes Onepage and Multipage layouts. A lot of pages and options help you create beautiful and elegant site. Note: images used on the demo website are for demonstration purposes only and are not included in the file for download.